Hygge, a single Danish word (pronounced hoo-guh) describes an entire lifestyle movement that has worked its way into art, design, fashion, interiors—and weddings! It refers to the art of building a sense of sanctuary around oneself, a place that embodies warmth and coziness. While it seems a little ethereal, the wedding industry is no stranger to such concepts. For years, “shabby chic” has meant renewing old things and making them beautiful again. “Rustic” has signified a return to rural roots with an emphasis on simplicity and nature. Retro, vintage, industrial chic—all are terms that have become synonymous with the things that we appreciate about life, and the connections we make through our events with those feelings. Photo courtesy Sunshower Photography – www.sunshowerphotography.comHygge is perhaps more exotic, in part because its name has no exact translation to English. It means that moment when you find yourself feeling special, when what you’re doing or seeing is recognizably meaningful. It’s the comfort you get from a home cooked meal with friends. The warmth you feel as you enjoy the glow of a beautiful burning candle. It’s feeling content or recognizing the pleasure in familiarity. It is obscure, for sure, but acutely reassuring. When you think hygge, think of design features like candles, foliage, natural elements, and artisan woodwork. 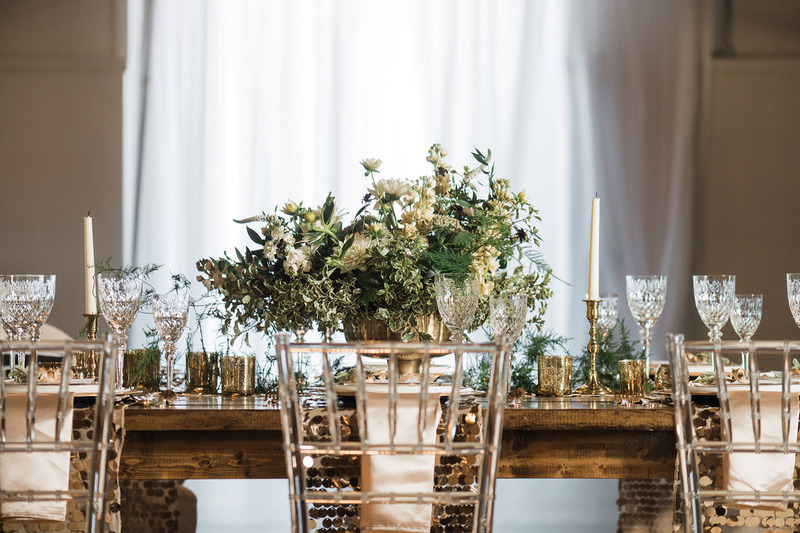 Whatever you use to create a hygge wedding design should have significance to the couple and invoke a feeling of peace, tranquility, or nostalgia. Hygge design should inspire joy, first and foremost. A hygge wedding design might begin with an accent piece that the couple brought from home; perhaps something passed down through the generations, or picked up on a particularly pleasant day of antiquing together. These palettes can be muted and organic—plum, evergreen, and ivory, for example. They are generally color combinations that would be at home in a couple’s cozy living room. Obviously, hygge is a trend that is subject to much interpretation. How would you approach designing a hygge event? What have you seen that has helped you embrace the trend? Brainstorming what could be universally comforting and nostalgic is a no-fail way to achieve this trending vibe! Catersource 2019 will offer a plethora of sessions related to trends and events. Click here for the latest information!